Added new option & mdash; uploading / receiving avatar (picture) from the profile. Moodle / plugin LenAuth administrator can check this option to user avatar automatically loads to his Moodle profile. 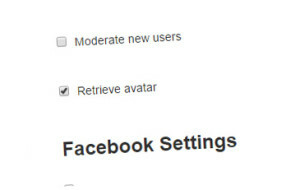 This option works is quite simple: in the LenAuth settings check «Retrieve avatar», now users who have in their social profiles avatars and not having still an avatar at their Moodle account, loggin/authorize yourself in Moodle through LenAuth will upload their avatars to their account automatically. Important:: during initial photo upload at top right of the profile avatar will be default, ie user will be able to see it (if only that is automatically loaded avatar) only by going to the Edit Profile or at the next login. If a user hasnt avatar in his social network profile, through which it is authorized, then avatar will not uploaded. Yandex: webservice returns only avatar internal id, and a link to it enough to just get by substituting the id in the URL of the form: https://avatars.yandex.net/get-yapic/avatar_id/needle_avatar_size. More on obtaining avatars in Yandex. Of all the available sizes, we have chosen size 200×200 with key islands-200. Mail.ru: here response comes with an OAuth array key pic_big with the URL of the image, in the end: $array['pic_big']. And now the trouble, we found ourselves in our “bug” in the calculation of the OAuth id profiles and quickly fixed it. VK.com became quite frequently update their API, we have also updated this version.